5 Things You Might Not Know About Air Charter with CSI. We at CSI Aviation has been arranging charter flights since 1979. 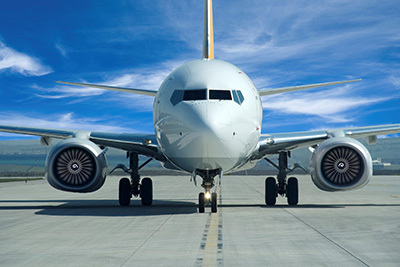 In our nearly 40 years of service, we’ve become experts on a diverse mix of aviation services. However, we realize that while air charter is second nature to us, there’s still somewhat of a shroud of mystery surrounding the industry. With that being said, here are five things you might not know about air charter with CSI. 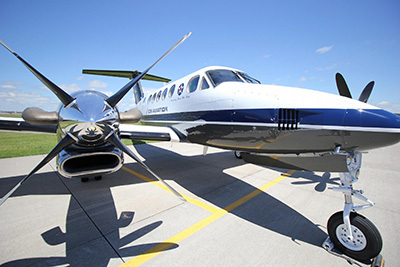 We currently own and operate four King Air twin-turboprop aircrafts: King Air C90, 200, 300 and 350 and a Beech 1900D. These aircraft have more than enough capabilities to execute flights across the country for any number of reasons. But if for some reason one of our aircraft can’t get the job done, we utilize our global network to find one that can. Our access to an exceptionally large variety of aircraft worldwide includes commercial airliners, turboprops, light, midsize and heavy executive jets and even helicopters. As soon as you tell us how many people you need to transport, we get to work finding the perfect aircraft for your needs. Whether you’re coming to us as a solo traveler or are looking to transport a large group, we’ll take care of you. We understand that the perception surrounding air charter consists largely of images of the world’s elite traveling intercontinentally with champagne in their hands. And while that is, at times, the case – the truth is that people fly charter for a lot of reasons and probably more often than you think. Business executives often call on us to get them from meeting to meeting so they can avoid long lines, cramped seats and a plane full of strangers making it difficult to focus on work. Large sports teams use us to get them to and from games and travelers working with especially tight time lines often look to us to get immediate service. Additionally, our medical flight services offer hospital-to-hospital patient transportation, organ transplant flights and more. People who have never flown charter are all too familiar with the routine for booking commercially: plan months ahead to find the right flight with the least connections at a time that hopefully works with your schedule and hope that the airport serviced by your airline is close to your actual destination. Choosing to fly charter, however, means simplifying the routine to three steps. Choose your time: Rather than having to work around an airline’s schedule, CSI works around yours. You tell us exactly when you want to leave and we’ll make it happen. We can even arrange a flight on the day of travel. Choose your airport: Many commercial airlines don’t have service to small, rural or hard to reach airports, but CSI does. So rather than an airline telling you where they’re going to take you, you tell us exactly where you want to go. Choose your aircraft: Tell us how many people are traveling and we’ll find the right aircraft for you. When you fly charter, you make the guest list so you’re not traveling with a plane full of dozens of people… unless you want to be! Over the years, we have transported countless people for a large variety of reasons. However, that’s not all that we move. Our air cargo service encompasses all types of cargo including large loads, transportation of time-sensitive shipments and HAZMAT cargo. We’ve also carried food and supplies for emergency situations and equipment and parts for in-field repairs. We have also been known to transport organs between hospitals for transplants! We’re experts in our field – if you give us something to transport, we’ll find a way. If there’s one thing that we pride ourselves on, it’s our speed. Nearly every step in our process is designed to be quick and simple to save you as much time as possible. Starting from our fast and easy booking procedure to pre-screening to avoid long check-in and security lines, we do everything we can to make your experience less of a hassle. The convenience also extends after your flight, when your luggage is offloaded planeside, meaning you’re not stuck at baggage claim when you’re ready to get on with your travels. And because charter flights are often to smaller airports, getting in and out is much quicker than a large, busy airport. We understand that time is money, so we do everything we can to save it for you. As the rates of air charter travel continue to increase, we hope we’ve helped to clear up some of the mystery surrounding the industry.